Here is a beautiful earring fit for a bride’s maid. The flower shaped bead serves as the focal bead, bezeled by weaving pearls. 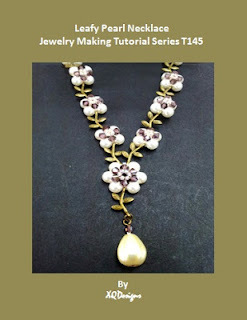 Creating the earring requires basic 8-Figure or Double Needle Right Angle Weaving Technique and is fit for beginners who likes to explore basic beading handmade jewelry making. 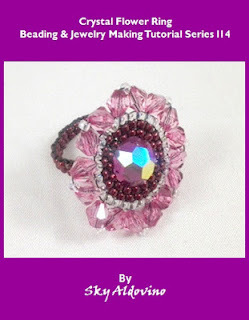 Here’s a fun and easy way to create a beaded ring. Suitable for beginner to intermediate students. 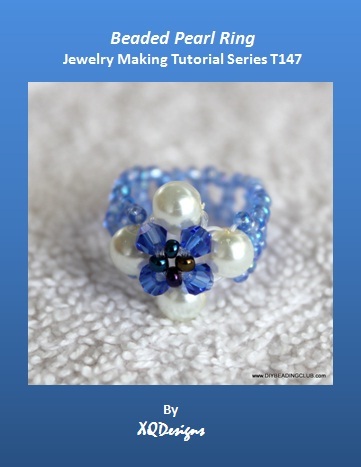 This tutorial will teach you how to use right angle weaving technique and create a ring using pearls, bicones and seed beads. You’ll learn how to do right angle weave in circular direction which created the flower shape center of the ring. This tutorial will also teach you the basic right angle weaving technique which created the ring band. Rosettes and flowers are a popular design for accessories. Surrounded by seed beads that represents the seeds is a Swarovski faceted round bead, which creates glitter and elegance, making the ring look expensive. The bicones are weaved to mimic the extended petals of the flower while its pinkish color makes the ring look feminine and sweet, just like real flowers. Catered for intermediate level creating the ring requires basic knowledge of brick stitch and ladder stitch. It has in-depth instructions and ultra-clear, close-up photos at each step. 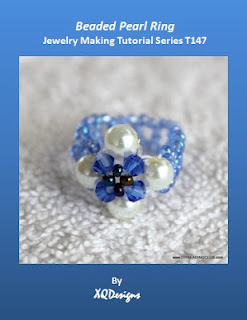 Learn Right Angle Weaving technique in circular motion and create flowers from pearls, bicones and seed beads. You can link the flowers to create bracelets and necklaces. You can also create just 2 flowers and turn them into earrings. This tutorial comes with 17 detailed steps supported with pictorial guides. It lists all the materials needed. Make yourself a nice necklace or make a gift! Level: Suited for intermediate to advance level, but the beautiful design would also interests anyone who loves beading. If you already know Right Angle Weave, this pattern will be easy for you. If you are new to learning RAW, instructions and diagrams have been included to help you learn this weave. 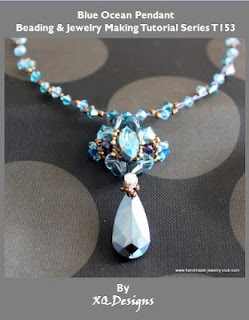 Learn how to make an elegant pendant with the Blue Ocean Pendant Tutorial. Play with different sizes and colors of beads, you can come up with your own variation. Making the pendant requires knowledge in right angle weave and free-form beading techniques. 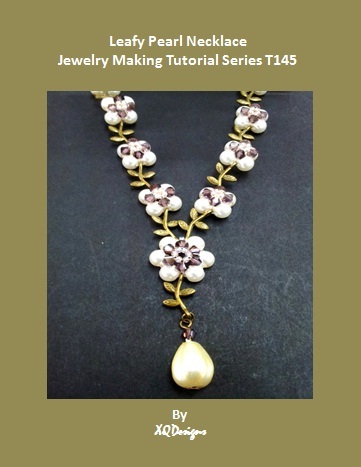 The tutorial is catered for intermediate to advance students, but anyone who loves to explore advance beading techniques can definitely try it. It has in-depth instructions and ultra-clear, close-up photos at each step. Additionally, you can ask me question you have on the tutorial. No more getting stuck and frustrated on a confusing or just plain inaccurate pattern.